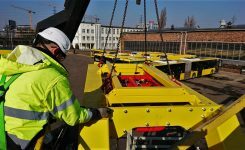 Ekoenergetyka-Polska will supply charging stations in Hamburg - Ekoenergetyka-Polska Sp. z o.o. Ekoenergetyka-Polska, the Polish manufacturer of charging infrastructure for electric vehicles, has won a tender for the delivery of charging stations for electric buses to Hamburg, Germany. Verkehrsbetriebe Hamburg-Holstein GmbH (VHH) is the second largest public transport operator in northern Germany. The operator has adopted a very ambitious plan, which assumes the replacement of all buses with electric buses by 2030. One of the key stages of electrification of transport is the provision of fast charging stations with a total capacity of more than 7 MW. Ekoenergetyka and VHH signed an eight-year framework agreement on 17 August. As part of the first delivery, chargers with a capacity of 1.2 MW will be designed and implemented. 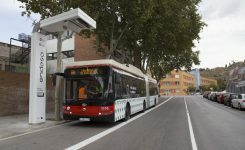 The block will be divided into four modules of 300 kW each, which will transmit energy to up to 16 buses via charging points called “Wallbox” equipped with plug-in connectors. Vehicles will be charged using a CCS-compliant Combo-2 connector. Each “Wallbox” will be equipped with two plugs of this type. The infrastructure for VHH will be equipped with an intelligent management system that allows the charging of electric buses with adjustable charging power. 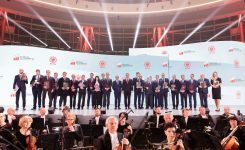 Ekoenergetyka-Polska is to supply Hamburg with the first 1.2 MW unit in January 2019, the next two in the middle of the year, and the next two in the further stages of the project. In parallel to the work on bus charging stations, the German operator has adapted the workshop for the operation and maintenance of electric buses and plans to purchase them successively. By the end of 2019 VHH plans to open 48 charging points.